We strongly believe in the importance of supporting the local community and use local suppliers wherever possible to support local businesses and keep the food miles down. The fresh vegetables in our pasties are local, and all of our beef, lamb & pork is sourced from local farmers within 20 miles of our bakery in Wrexham. Similarly our suppliers of milk, dairy cream and free range eggs are local. Offering you the full range of breads, pastries, confectionery, sandwiches, cream cakes, celebration cakes and savouries and pies baked fresh in the shop. Our bread is hand crafted daily, with all our white loaves made using the ‘Sponge and Dough’ method, the start of the 24 hour slow fermentation we use to make all our breads to enhance the flavours. All of our chocolate lines are made with Belgian chocolate & we always use real butter, not margarine. 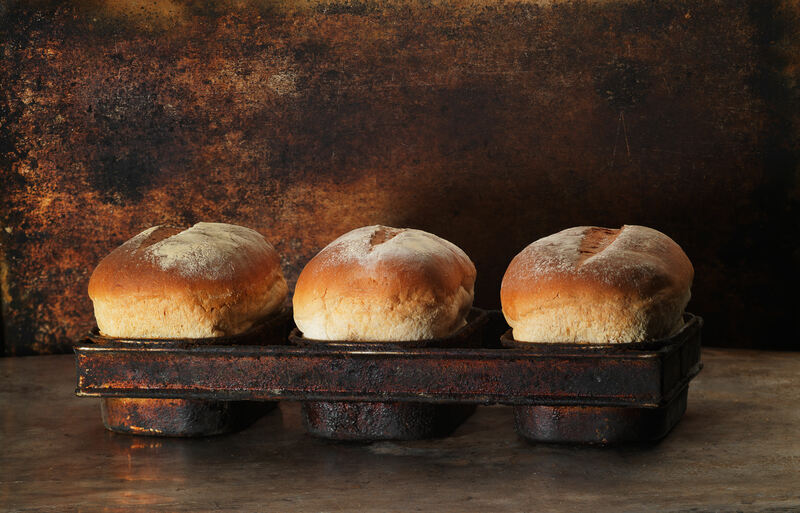 Since 1838 our family have taken pride in baking really good bread. Long fermentation of the doughs has always been essential to enhance flavour. For many years before it became a fashion we used unbleached, untreated flours to keep the flavour. All our white breads are made by a “sponge and dough” process, the start of a 24 hour slow fermentation process we use for all our breads which enhances the flavour. 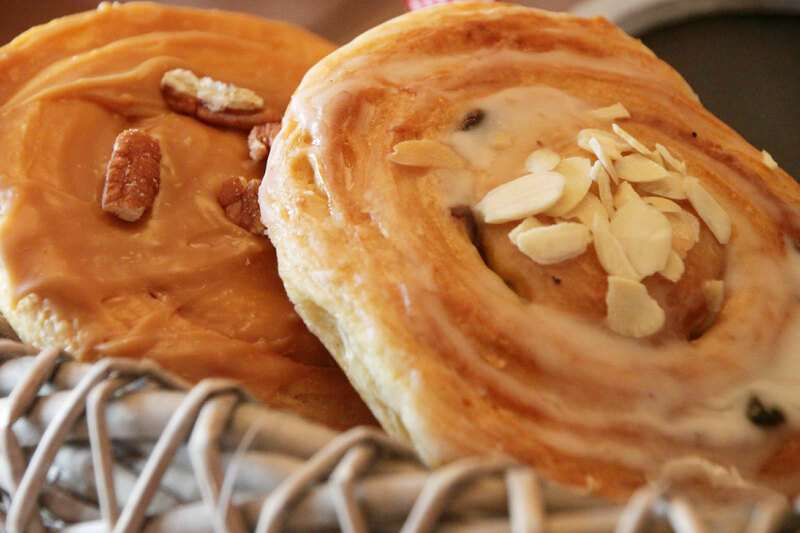 So much choice, we make delicious iced buns, yum yums, muffins, scones, and danish pastries, together with welsh cakes, sultana scones, cherry scones and healthy harvester scones. Morning treats to start the day with a smile, and certainly brighten up your afternoon tea by adding cream and strawberry jam to the scones. Egg custards, freshly baked in our retail shops, we make with pure butter pastry, local free range eggs, and local milk. A taste not forgotten. A perfect light delight. 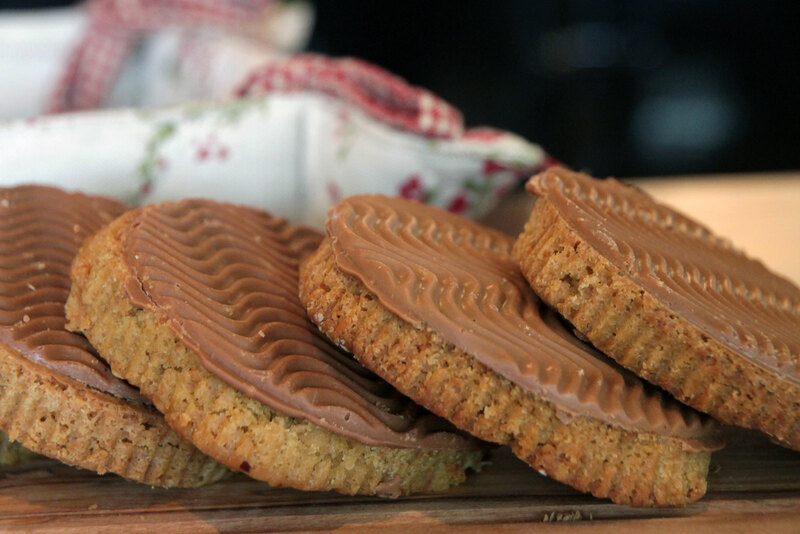 Caramel, toffee and Belgian chocolate varieties, melt in the mouth Viennese, welsh oaties, together with all time favourites such as Bakewell tarts, shortbreads and Shrewsbury biscuits. Eccles cakes are an addiction amongst our customers. The all butter flaky pastry, filled with moist vostizza currents, pure butter and demerara sugar make them incredibly mouth watering! 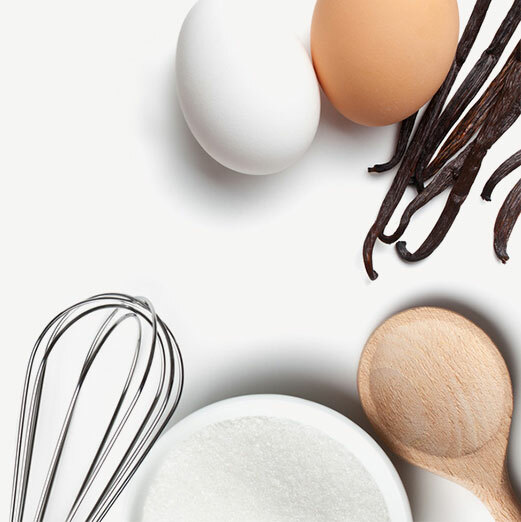 Vanilla slices are the highlight of our dairy cream selection, our customers’ top choice for many years. Local cream of course. Strawberry flans, chocolate eclairs, scones, cream splits and doughnuts are also firm favourites. Fresh local pork, beef, and lamb sourced by our local butcher from farms within 20 miles of our bakery are used to make our savouries and pies. We add fresh local vegetables and bake you a selection of savoury treats. The pasties range from a traditional potato, beef and onion to cheese and onion, lamb, chicken varieties and corned beef. Steak pies have long been a winner with our regulars. 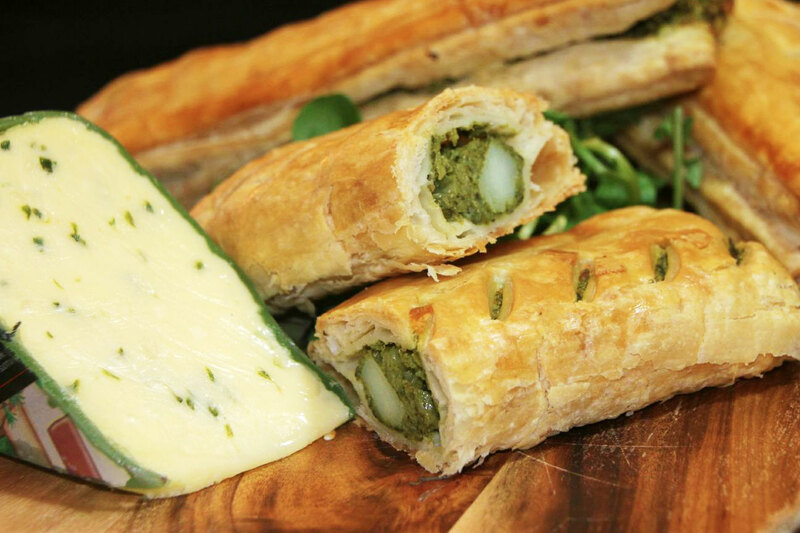 An instant hit with our vegetarian customers, and customers who love their vegetables, are our cheese and spinach rolls, which have gained popularity each year. Another recent savoury to become a firm favourite is our Huntsman pie, with layers of pork, chicken and stuffing. To add to that savoury treat try our cheese sticks, a quick but satisfying healthy snack, perfect for the customer on the run. 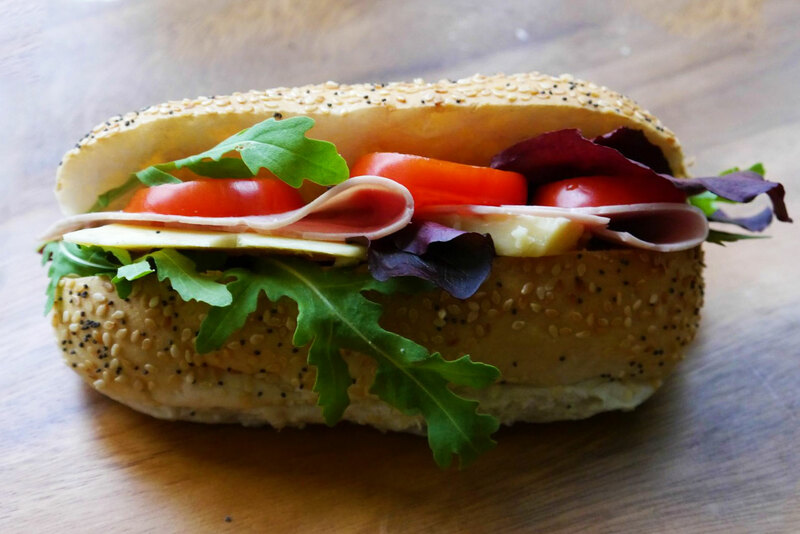 We hand fill daily our freshly baked, full flavoured breads and seeded rolls with delicious meats, fish, cheeses and fresh salads for your enjoyment. 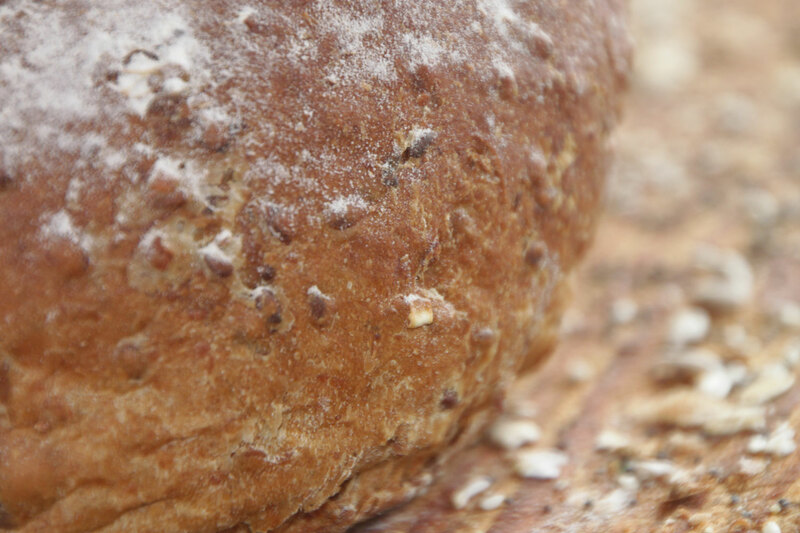 A new white rustic loaf, which is used for our tuna crunch sandwich, has made it an instant hit with customers. Paninis, an Italian style ciabatta roll, are made with pure olive oil and hand filled with a choice of fillings. Paninis are available to take out or eat in where we have coffee shops with the bakery shops. We’re celebrating the opening of Gerrards’ two new bakery shops in Chester, one in Northgate Street and one in Hoole Village. 150 years after Mary Gerrard’s daughters opened their tea shop in Brook Street Chester, our talented team of bakers are delighted to once again be providing freshly baked bread, savouries & sweet treats to customers in & around Chester. Why not pick up one of our ‘Bakers Dozen’ loyalty cards from any of our shops. 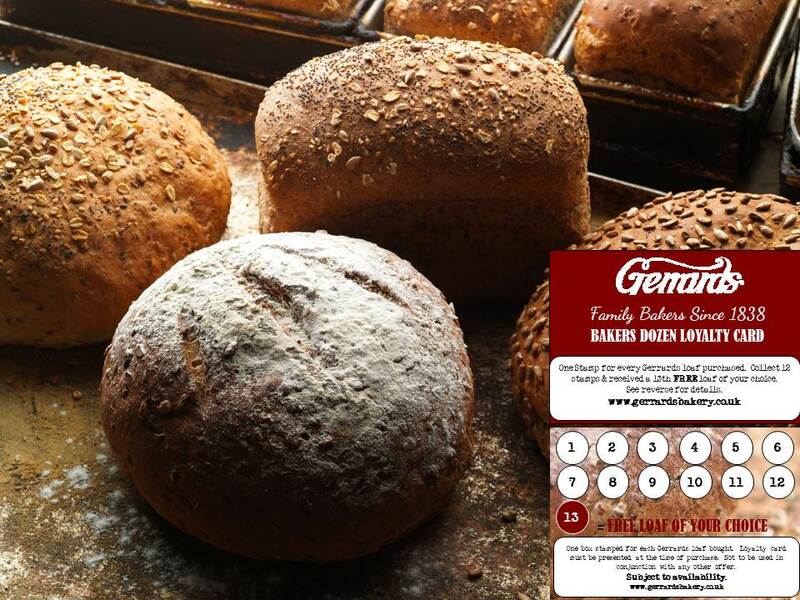 Collect a stamp for every loaf bought – and once you’ve collected 12 stamps, have the 13th of your choice free on us!